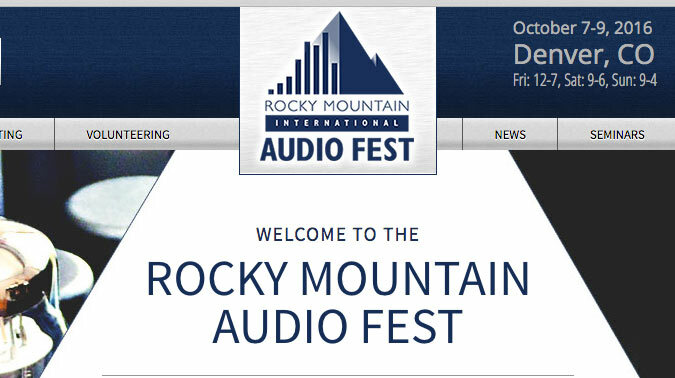 It’s not difficult for me to pack up suitcases full of equipment and AIX recordings and head to the Rocky Mountain Audio Fest in Denver, Colorado. 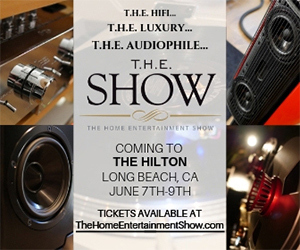 The well-attended annual event is the legacy of the late Al Stiefel, a local audiophile and original organizer of one of the biggest and best audio shows in North America. I knew Al and years ago he was very supportive of my efforts to move audio fidelity beyond the traditional audiophile formats of vinyl LPs and analog tape. In fact, after a lunch meeting he told me that the fidelity of my “Hi-Resolution Audio Experience” sampler disc took fidelity to a “whole new level.” He got it. I’m on my way home after the 2016 edition of the RMAF. I don’t set up a demo room at this show. I had a couple of tables in the “Marketplace” and offered attendees a chance to come by and check out the AIX Records catalog. I brought several copies of almost everything in the catalog as well as the 2013 HD-Audio sampler. For three days, I stood by my table, introduced myself to new customers, and enjoyed conversations with old friends — and there were a lot of familiar faces. They wanted to ask about my things were going with my thyroid cancer (and I’m very happy to report that everything is great. I’m still not tasting much but that will eventually get back to normal) and how progress on the “Music and Audio: A User Guide to Better Audio” is going. I’m very happy to report that progress is slow and steady. I’ve been working regularly on the illustrations — there are over 200 so far. I think the writing will be done by the end of the year. For all of you that have backed the campaign, thanks for your patience. I’ll try to pull together some additional posts on the RMAF over the next week but I can tell that it’s more of the same. There were plenty of vendors showing off their wares. Of course, there were cable companies trying to convince unsuspecting audio enthusiasts that their $1200 3-foot USB cable was worth more than the hardware it would connect. The lady standing behind it offered to send me one to compare. I may take her up on it. I had a very interesting conversation with Charles Zelig, the guy that has contributed a number of articles to TAS and HiFI Critic about WAV vs. FLAC files and whether Hard Drives can sound different. I must say he and I had a very pleasant conversation in spite of our differing positions on some of these issues. I promised to read his most recent article — the one that the editors of The Absolute Sound opted not to publish because “it was too technical”. Really? Earlier this afternoon, I got the chance to drift around the show and check out some of the rooms. I made sure that I got to the MQA room to get an update how things are going with their initiative. I met my friend Jeff Dean and asked him whether I would ever get some of my files in the MQA format. He doubted that it would happen. Never mind that they told me to send them some files 20 months ago. I did learn that there are about 250 MQA titles currently available. They are primarily jazz and classical fare from 2L and other audiophile labels. Nothing from the mainstream companies yet. I asked about the status and throughput of the encoding process — specifically the WB Records catalog that has been promised in the MQA format. When I first learned about WB getting behind the MQA format, I thought it meant that they would mine their catalog and create MQA versions of everything. That’s not the case. According to Jeff Dean, only the 3500 “high-resolution” albums that have already been transferred from analog masters to high-resolution PCM digital files are being targeted for MQAing. I imagined that WB mastering would have to redo all of the original transfers from the analog masters so that the details of the conversion could be included in the process. I was wrong. They took the exisitng PCM files and encoded them into MQA files. The question is whether the standard resolution analog masters digitized to high-resolution bit buckets will benefit from the MQA process? There is little — if any — frequency information about 20 kHz and we know that the dynamic range is much less than the capabilities of a standard CD, so what could MQA possibly elevate the fidelity? There are no ultrasonics to tuck under the CD bandwidth. They claim it’s all about the “temporal blurring”. I remain unconvinced. A number of people came by my table as asked my opinion on MQA. I could look through the ballroom door and see a poster of Bob Dylan next to the MQA logo in the hallway (they certainly have done a great job marketing their new format!). I told them that real high-resolution albums would only benefit from the process in the world of streaming but otherwise it’s a solution to a problem that doesn’t exist. Until I can evaluate my own recording before and after the MQA process, I just don’t see how it can possibly matter to companies like mine — and Warner Brothers. I can understand what it means to hardware manufacturers, traditional record companies, and MQA — more money. Just wanted to ask, is the process you use for your recordings such that timing errors will not occur and then as such MQA would have no effect on the fidelity of the sound. As I am not technically minded in music production, I am making the assumption that the equipment and software used for high resolution production means that there are no timing (blurring) issues to correct. Also that with the increased resolution and the dynamic range that can be covered means that future remastering is also not required, as the master will be digital and not prone to the degrading effect that age has on master tapes, and that the full fidelity was captured at the point of creation. Why will they not see the benefit of high resolution recording. I can get that we can go back to the old masters and find improvements, just don’t understand why the wider recording industry can’t or won’t evolve for the better. There is all manner of kit available and some at reasonable prices to take advantage of greater fidelity. If it wasn’t for paranoia I would be minded to really believe the industry is mining it’s catalogue with new formats such as MQA because it believes the market will take it. One thing I can say, it is most pertinent that you mention that the 3.5k PCM mastered WB recordings are the only ones be MQA’d. If MQA is so good, why are they restricting themselves to that market for those recordings? One last blast out of the generation that love those recordings along with some heftily priced gear upgrades? That’s just me being cynical. I still hope eventually we will move up in resolution. I have heard some of the DXD 2L recordings and whilst I cannot make a case for such high resolution, I do understand the benefits of well produced recordings at a higher resolution, just wish the rest of the world did, then we could all join the party. Timing in audio/sound is extremely important and can affect the sonic characteristics of a track. Perhaps the “time blurring” that MQA claims to address can make subtle changes to the fidelity of a digital file but they pale compared to the benefits of using less compression, less EQ, and less processing in the production chain. The tracks that I’ve heard demoed in the MQA format include a lot of classic analog albums from the 60s, 70s, and later — think Roberta Flack, Bob Dylan, and Ray Charles. Those analog tapes played on the best analog reproduction deck (which doesn’t happen in the usual label mastering rooms!) 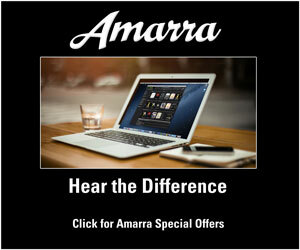 define the ultimate listening experience for those tracks. 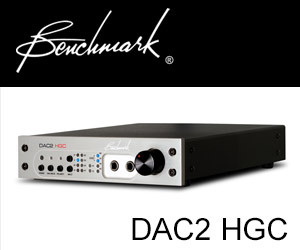 When digitized into 192 kHz/24-bit PCM files using state-of-the-art converters, there is nothing lost. The resultant digital files will contain all of the fidelity of the analog master. In fact, the potential fidelity of the transfer is much larger than the third generation “master” tapes. There is no “high-resolution” aspect to those tracks…so why bother including the ultrasonics in the MQA encoding. That’s why doing the 3500 analog transferred tapes at WB in MQA is IMHO a wasted effort. If MQA is applied to real high-resolution audio tracks like those of 2L or AIX, they would be streamable but that won’t sound any “better” than the files as straight PCM files. If the process changes the fidelity of my tracks, I’m not interested. I love my recordings the way they are. The production community and the labels have to want better sounding tracks…and sadly they don’t care about fidelity. Why do you think the labels don’t care about fidelity? Are the general body of consumers truly so mesmerized/distracted by consumerism, their auditory view of what “Great Sound” is, so grossly distorted (pun intended), that they don’t even know what they are buying any more? I will say that there is a huge body of multitrack source material these days that is far less well recorded than it used to be, tracked in far from acoustically pleasing spaces, and with microphones that pale in comparison to the lockers we are used to. This material must then be made into something that the artist is happy with. Unfortunately, this means a lot of “Creative Decisions”, extra subtractive EQ, phase realignment, dynamic massaging (hopefully subtle), transient modification, creation ambience and early reflections out of nowhere. It it a massive undertaking, and does not have the naturalness of a recording created in a beautiful space, EQed by mic selection and placement. You work with what you are given, and if you get lucky, you are given the time and budget to re-record elements to help create a better product for your client. Thanks for the notes from RMAF, Mark. Time and again, no surprises about MQA and that they’re doing… I don’t think anyone really expected MQA to be able to do a full job on MQA processing with all the impulse response inputs and meticulous measurements to go into the encoding process for their claims of “de-blurring”. “He doubted it would happen” for the files you submitted!? Why!? I mean, they encoded Atkinson’s files… At least run the true hi-res files through the encoder and let you listen if there’s an audible difference if not an improvement, right? What else is the public to think other than I suppose they felt you weren’t going to *guarantee* them a positive impression!? As for Zeilig, did you catch what kind of doctor is this fellow? And is this the technical article he wrote recently referred to??? I guess metadata is horrible, especially embedded cover artwork. Oh boy… It’s like research based on reading auras and other paranormal activities back in the 70’s. It was a pleasure to meet you at the show Mark. Meeting you was my main reason for attending and I had a great time at the show after we met. My favorite sound system was the “Magic Bus” built by Whitledge Designs, It has been featured in many magazines and on the internet. I spent almost an hour demoing Hi – Res music mostly from AIX. Jon Whitledge Owner/Designer of the system Really liked the songs i played him from Peppino D’Agustino. I have to say it was Amazing listining to Hi-Res in his Sony Van and i’m sure you would have been amazed as well. everything was crystal clear and no distortion to be herd. Anyway I’m so happy to have met you and I wish you all the best. It sounds like I should have made it out to the bus. Thanks for coming by! Thanks Carlo…it’s nice to see such thorough coverage. I don’t think any other publications bothered to come by the table. On the issue of the flac versus Wave files and the sound….At the place I bought my Magnepans years ago, they were insistent that any good recordings I got my hands on, should only be played through my PC ( with Lynx card and External Berkely DAC) from Wave files….that If I got a recording in Flac format, that it needed to be uncompressed into the Wave format…..they claimed that music with intense transients…like Piano, would be effected by the PC having to “open” up the Flac,…whereas the wave file caused less latency in the system, and the transients would come across better…someone walking into your house would think they were hearing a real piano, as opposed to a stereo playing….. I can imagine a circumstance where an under-powered PC wouldn’t be able to completely and losslessly unpack a FLAC file in real time. But I think that situation would be very rare in this day and age. I stick with WAV files but have no problem with FLAC versions. This year I could not attend the RMAF but I will attend the CES2017. I cannot understand why you lose your time with MQA. 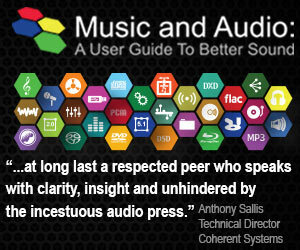 There are many more important things in audio. The MQA process is only a compression format that intends not to change the fidelity of the source. If the source is of bad fidelity the resut is still bad, not more. For me it does not matter if the audio file has150MB or 75 MB thru MQA. What interests me is the result, the fidelity of the audio my ears hear. I am very sure that the MQA process produces significant audio interferences compared to the original source. What matters is the source. If the source (music) is very well recorded, using microphones of extended range and frequency, processed to high quality equipment with also extended range and frequency (audio) and recorded in digital format of at least 96KHz by 24 Bits that is enough for me. By the way, besides your HR records, which companies are producing real high resolution records from new sources, nor from tapes or vinyl? I Know none. 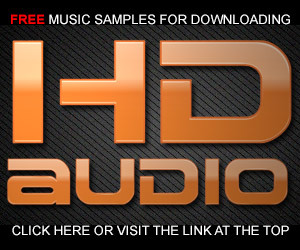 Thanks again for your efforts in promoting high resolution music and audio! We are living in a completely wrong world for high quality audio. The unique interest is money, nothing more! Mark, just a reminder if you could look into adding a delete or remove function in the Save for Later list on your Itrax web store. Mick, thanks for the reminder. I’ll take a look. Or I could sneak in the back door and remove all saved items in the MySQL database. Yeah man, like well, you know, it has been I know, like what man, like 20 months. Well I don’t see it happening. I know, I know you wonder how that can be. But well you aren’t like one of the specially chosen. We like, you know man, like are going to deblur and fix the regular PCM transfers of purely analog material. You know man, like well maybe, like your real hirez stuff, well it might like not really benefit you know man. Oh WOW man, wait I didn’t say that. No really, I DID NOT say that you got me man? SHITE! Or more like crikey! Okay, like out of 14 billion albums, we are going to like MQA you know 3500 or so. I mean like anyone will buy all 3500 of them. MQA like Maybe Quality Audio or damn, damn I did NOT say that either. DID NOT! Look, just to be clear, your tracks are going no where, but this is the real deal. REAL DEAL! Just trust Dr. Jeckel (Robert Stuart) and Mr. Hyde (good ole Bob Stewart). Look, like, …..wait no don’t LOOK. ……I mean like just trust it man, just trust it. Good people, good stuff, like Don’t worry be happy. Happy dude. If I were in the MQA marketing business I’d produce demo recordings with the original version and the MQ “pumped up” version with some modulated noise in the 25 to 40 kHz range so that people like Mark Waldrep would find it, see it on their scopes. I’d have them walking out swearing the MQ versions were better even though they could do the same thing at home themselves with a little ingenuity and some creative software. MQA according to CA, and I quote, “With respect to the Warner catalog. The number Mark Waldrep is putting out (3500 albums) is false.” Your take? I posted a comment on CA. The number that I was told by Jeff Dean of MQA was 3500…and I believe what he told me. It makes sense. There are only about 3500 albums in the WB catalog that have undergone “high-resolution” digitization at their mastering facility. Those older standard-resolution analog recordings don’t have any high-resolution attributes so how are they possibly going to benefit from the MQA process.